Allan McNish won his 3rd Le Mans at the wheel of an Audi R18 e-tron quattro. 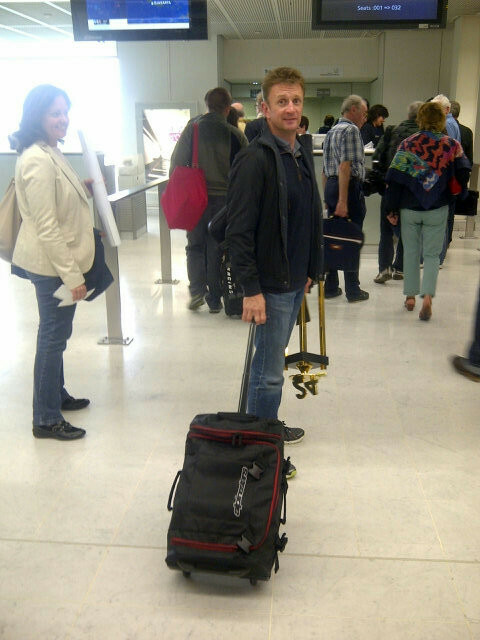 Julia Wurz, wife of Alex, snapped him at the airport casually carrying the trophy. 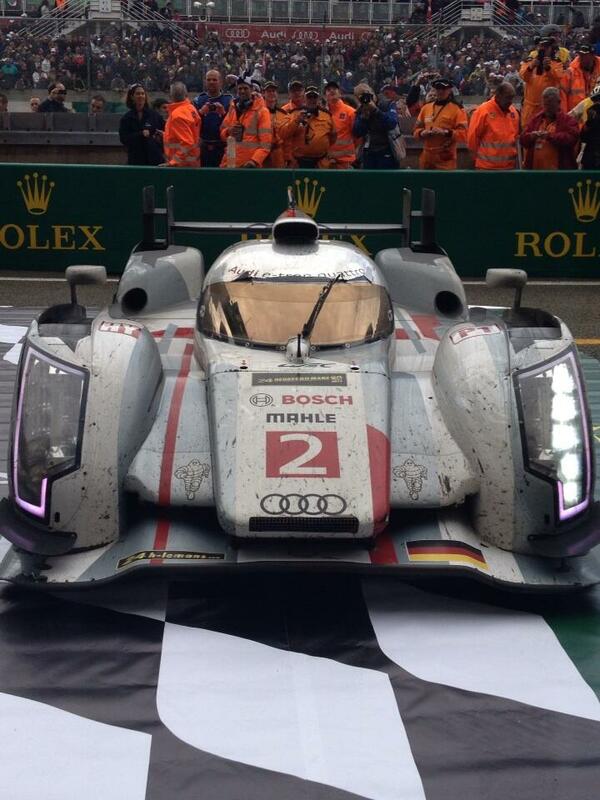 Here's the car itself looking fine in all its post-race patina.